1. A pedestrian bridge will link the island to the Jumeirah Beach Residences (JBR) beachfront. 2. Hosts retail, residential, hospitality and entertainment zones. 3. Bluewaters Residences lies on BlueWater Island, which is home to Ain Dubai, the world’s largest observation wheel. Located just off Jumeirah Beach Residence (JBR), Bluewaters Residences is located on the new BlueWaters Island. 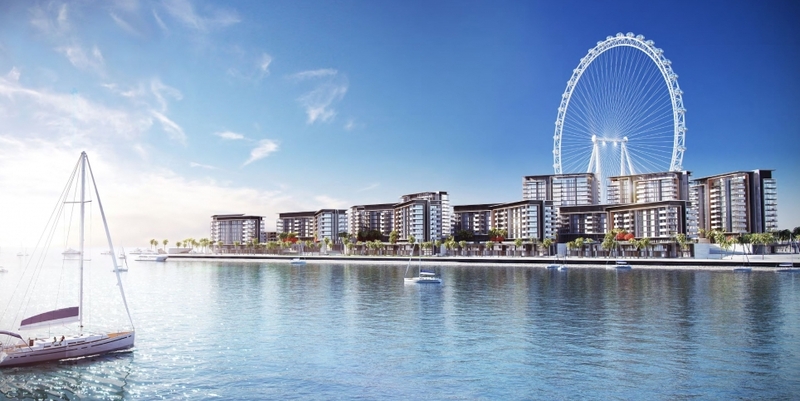 This new island will also host Ain Dubai, the world’s largest observation wheel. 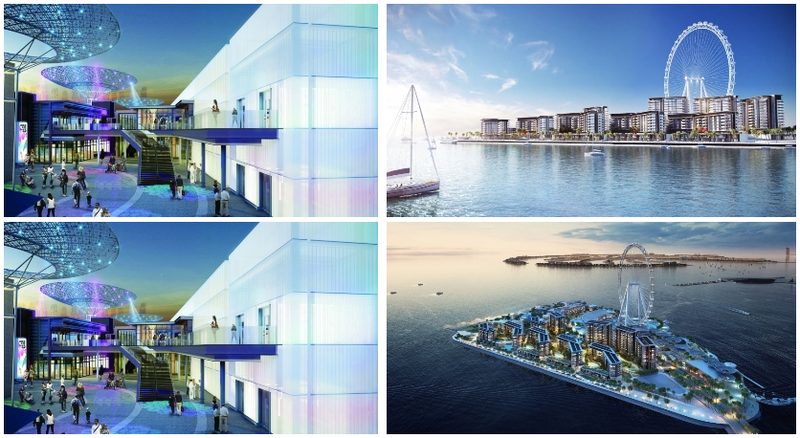 The project has kicked off and is attracting a lot of investor attention due to the fact that it is an island that is in a prime location with a lot of retail options and amenities within the building. The cluster of 10 buildings and 7 townhouses offer a variety of floor plans that are meant to be perfect for families with plenty of parks and recreational facilities available. One to four bedroom apartments are available, each with one or two parking spaces. Residential amenities include gyms, swimming pools, landscaped gardens, basketball courts, and children’s play areas. The four bedroom penthouses enjoy an unparalleled 360 degree view of the Arabian Gulf, Marina, Ain Dubai and the Dubai skyline. Interiors are furnished in all apartments and townhouses in a minimalistic style; with Scandinavian floorings and soft metallic fixtures. With direct access from Sheikh Zayed Road, this development has an excellent beachfront location close to The Walk. Residents of BlueWaters Island can benefit from a plethora of retail, dining and entertainment options – 164 to be exact. They will also have access to a ferry dock and beach club. There will also be two five star hotels that form part of the development. There is also a pedestrian bridge that connects the island.